El netlabel Astor Bell acaba de editar un nuevo disco. Se trata de Hearts, el Ep de Fenderchet, que es el alias del artista multimedia venezolano José J. Silva. Música Pop futurista, bases electrónicas, sintetizadores a cascoporro y mucha experimentación, componen el cóctel electrónico que Fenderchet os ofrece, de manera altruista y desinteresada para que podáis descargarlo desde la página del sello. “This sophomore release picks up right where the debut, Sleep EP, left off. After a night of strange yet beautiful dreams, Fenderchet gets out of bed on the right side and heads into the new day. His mind however, still left in that lovely dreamy state. Probably being the lightest and most trouble-free Astor Bell release so far, this collection of tracks is still just weird enough to keep your interest up. And make your brain writhe a tiny bit, just as you get slightly too comfortable. All for the purpose of opening up the gates and let you share all those emotions sensed and indited in a galaxy far far away called Falcon, Venezuela. 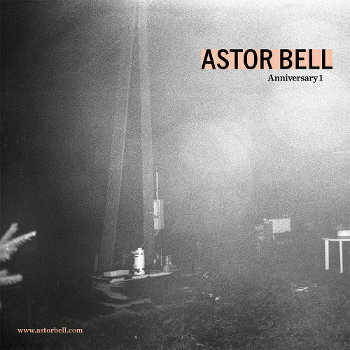 El primer aniversario del sello Astor Bell, dedicado a la música de baile y de club, se celebra por todo lo alto, es decir, con un recopilatorio de los principales artistas del sello aportando un tema que a su vez es remezclado por otro Dj o artista. Todo un logro para un sello que ofrece todos sus discos en descarga directa y que tiene ya doce referencias en su catálogo. Enhorabuena desde The JangleBox!! “In February 2009 we pushed the big green GO button and publicly launched Astor Bell. During the first year we released 12 titles, all very near and dear to our hearts. We wanted to mark our first anniversary with something really special and memorable. After kicking around a pile of ideas on what that might be we decided on loosening our grip and opening the gates into the Astor Bell brain. The sum of our contributing artist’s work is greater than the label name we put on it. And it is surely greater than two 30-somethings sitting behind computers making the files available to you. The broken beats, the down-sampled waves, the backwards bass and the organic subway samples accumulate like a snowball rolling down a ski slope into complete pieces of audio that dig themselves into the deeper parts of our being. Our artists backtracked into their harddrives and extracted these singular moments and scattered them over the floor. We asked you to put the pieces back together, and you did. We received submissions reaching to all corners of the globe. We hand picked the absolute best. Please know that it was NOT an easy task. We thank you for all of your submissions.